Who out of this year’s Super Bowl combatants is really Captain America: Russell Wilson or Tom Brady? 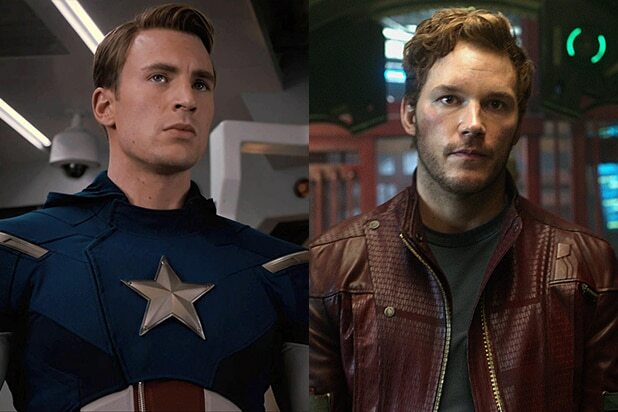 Using Photoshop to battle it out over the Patriots and Seahawks, Marvel superheroes Chris Pratt and Chris Evans renewed their Super Bowl Twitter feud on Monday. Pratt, a Seattle fan, fired the first round this time, retweeting a retouched image of Seahawks quarterback Russell Wilson as Captain America. “We both know there’s only one Captain America and his name is Russell Wilson,” he previously jabbed at the character’s on-screen namesake. Evans, who started the feud last week, was quick to reply, tweeting, “no disrespect wilson, but there’s only 1 guy that should be holding the shield,” throwing up his own Photoshopped version of Captain America, with Patriots quarterback Tom Brady in his place. The two are even betting on the outcome of the big game on Sunday — though of course it’s for a good cause. “Seahawks win you fly yourself to Seattle, visit @seattlechildren hospital as Captain America, waving the 12th man flag,” Pratt challenged Evans.